A native of Grand Rapids, Michigan, Dr. Cepala has practiced in the Cincinnati area for more than two decades. He is a specialist in Oculoplastic Surgery, or surgery to correct physical conditions that may affect eyesight or personal appearance. His work can be life-changing for many people, either by allowing them to see better, or by improving the appearance so they can be more confident and more successful in all aspects of their lives. In addition to his practice at Midwest Eye Center, Dr. Cepala also volunteers his time for Orbis, a flying eye hospital that travels to underdeveloped countries and performs surgeries that would not otherwise be available to patients in those areas. Orbis is more than just a traveling surgical center; it’s also a teaching hospital. Patients are treated in conjunction with ophthalmologists in the area, so that local doctors will be able to handle surgeries and other treatments for patients going forward. Orbis currently travels to 20 different nations worldwide. Through significant personal effort on his part, Dr. Cepala was able to get the girl to the United States for treatment, since her condition required more than could be done with the traveling Orbis hospital. She received the surgery she needed in the states, and the results were extremely positive. Thanks to the efforts of Dr. Cepala and numerous others, she is now able to live a normal life. 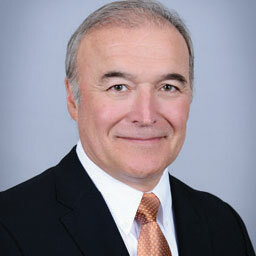 Dr. Cepala is also Past President of the Cincinnati Society of Ophthalmology. When he’s not working or volunteering, Dr. Cepala is an avid water and snow skier. He also enjoys playing tennis. He and his wife have three grown, successful sons.